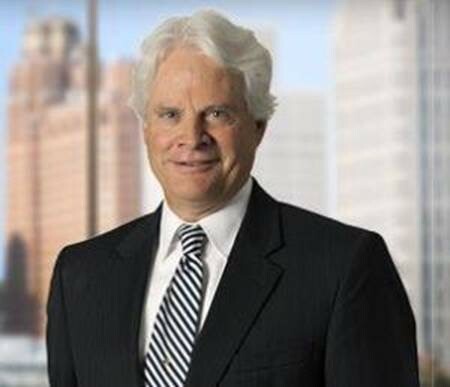 Dennis M. Haffey is an attorney who has litigated in Michigan courts for over 40 years as a member of Dykema, a national law firm headquartered in Detroit. Levels of incarceration in local jails have been declining, and changes in the law will reduce future incarceration levels even more. So perhaps the design of the new Wayne County jail should be reconsidered, since the current design would expand the number of inmate beds beyond current incarceration levels, instead of reducing them. Wayne County plans to spend $533 million to build a new jail, with 2,280 beds for adult inmates. But average daily inmate population has been in decline, from 2,200 in 2014 to 1,700 today. That pattern of decline alone may mean that 2,280 is too many beds. But new laws enacting criminal justice reforms, perhaps not foreseeable when the new jail was designed, will reduce future incarceration levels even more. Here are a few examples. 1. Marijuana Decriminalization: Michigan just decriminalized use of marijuana, and a system of legal distribution through licensed dispensaries is being developed. That will reduce if not eliminate prosecutions for possession and sale, which have contributed to mass incarceration, disproportionately of poor, urban black people. Michelle Alexander’s book, “The New Jim Crow,” describes how marijuana prosecution has caused high incarceration levels and devastated poor, black communities. 2. Reform Of Cash Bail System: Bipartisan bills are pending in the Michigan legislature to reform the cash bail system, to ensure that those jailed pretrial are only inmates who pose a danger to society or are a flight risk. No one should be jailed before trial (when they have not been convicted and enjoy a presumption of innocence) solely due to financial inability to pay bail. Yet, according to the Detroit Justice Center, 62% of those in the Wayne County jail on any given day are being held pretrial, most often because they cannot afford to pay bail. Under the proposed new bills, requiring pretrial release would be the standard and judges would be prevented from setting bail higher than the defendant’s ability to pay. The current pretrial cash bail system discriminates against the poor, has a racially disparate impact on who gets incarcerated, and wastes public resources. Pretrial prisoners who cannot pay bail face a vicious cycle – plead guilty in order to go home, but then have a permanent criminal record, or remain jailed for months while awaiting trial, risking loss of job, house, kids, etc. Wasted public resources include the cost to construct and maintain unnecessary jail capacity and approximately $75 per inmate per day to house and feed them. 3. National Trend Reducing Incarceration: Legal initiatives like Michigan’s that will reduce incarceration levels are a national trend. Other states too have decriminalized marijuana. Reform of cash bail systems is a national movement. President Donald Trump signed bipartisan criminal reform bills in December 2018 that lowered some federal sentences, eased some mandatory minimum sentences, included programs to reduce recidivism, limited incarceration of youths for status offenses such as truancy and curfew violations, supported alternatives to incarceration, and improved treatment for youths with mental health and substance-abuse problems. We have learned that “lock-em-up” has not worked for many societal problems, and that other solutions should be considered, such as treating mental illness and substance abuse as public health problems, not crimes. Interestingly, the current approaches to the opioid crisis focus on solutions other than jailing users. In short, future daily jail needs in Wayne County should be less than the planned 2,280 beds. Projections of future needs should reduce today’s daily average of 1,760 inmates by at least: (a) the number of inmates held pretrial due to a financial inability to post bail, which is estimated to be most of the 62% (or 1,092 inmates) being held pretrial, because they no longer will be retained after reform of the cash bail system; (b) the estimated 25% (or 440 inmates) who are mentally ill or have substance abuse problems who should be in treatment centers, not jail; and (c) the significant number who are held for marijuana use, possession, or distribution, given decriminalization of marijuana. A $533 million investment decision should be based on a rigorous analysis of more detailed statistics and projections, but these ballpark numbers suggest that the design be reconsidered before ground-breaking, to ensure that Wayne County is not left with excess capacity. Why do the courts require a "bail" payment at all? If someone is not a danger or flight risk, why do they have to pay anything at all? If they are presumed innocent pre-trial then there should be no financial burden given. Why not delay any financial penalty until they plead guilty or are found guilty? Excellent commentary. We should be spending more money on reducing crime, reducing the root causes of crime, and rehabilitating those who end up in the criminal justice system; less money on locking people up. You forgot we don't believe in jailing Whites using opioids while we jailed Blacks for using crack. Hmmm ! One of the most articulate and well considered articles I've read in ages. Sharp and to the point. Because governments at all levels have be doing the same thing over and over. New schools or remodeled schools for dwindling enrollement districts which are closed sometimes within months after completed. Why did someone decide Flint should build a new water system for a city with a population in free fall, with the disaster that brought and would never afford it? Lets face it people get excited about seeing new crap, bigger the better, (and don't think)! This is well thought out. Now, but for the contractors, you might be listened to. Instead of locking up every thief build training programs and help them get on their feet so they can learn how to be productive people. Build housing that is affordable that is nice so there are places for them to have a decent life and a family. Have rules but don't make it so if a person messes up more than a few times there are those to help him or her back up. There are more and more of us and the problem of humans breeding out of control. Instead of ruining a young persons life because they procreated way to soon make it possible for them to raise their children in decent housing with more than enough food. Pay them not to have children. It is a far better thing than building prisons like feudal England or like we were when I went to school. We were told communist countries were like everyone is hiding because they could be arrested for anything at any time. Shooting those who broke the law on the spot without finding out if the person was actually the guilty one. The rate of incarceration in our country has far exceeded any horror story told to us when we were young. I am 66. The land of the used to be free still the home of the brave has the highest incarceration rate of any other country on Earth. Excuse me but those of us who lived in the county when this was proposed pushed our representatives hard to agree to this. We were sick of paying for fixes, a failed new jail, and the rest. We wanted something this big to replace the old jail, failed jail, and the "temporary" jail. We also wanted a $330 million cap with NO overruns. We asked for it, we are getting it, and many of us are happy with what we are getting. When the next swing to jailing people comes we will NOT have to building anything.